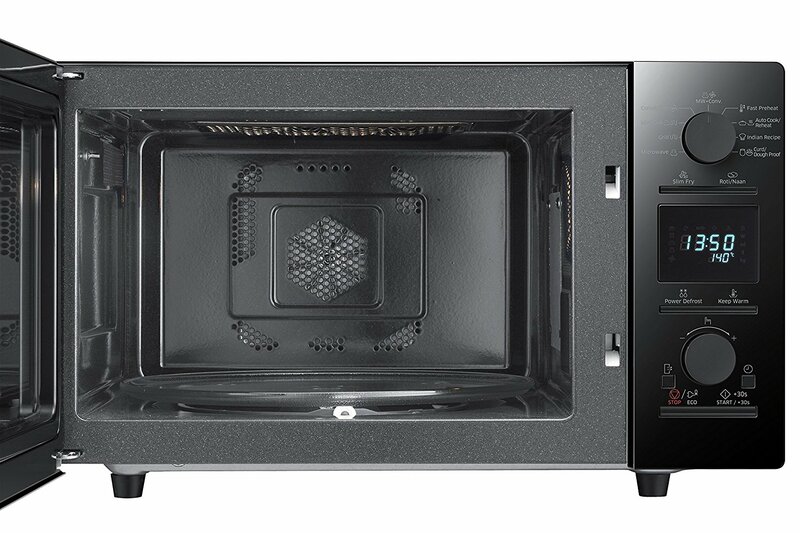 Samsung 32 L Convection Microwave Oven (CE117PC-B2/XTL, Black) efficiently combine a grill with warm air distribution to cook throughout crispy food. CE117PC-B2/XTL is powered by a tandoor technology that creates the waves with 200° C temperature for preparing tandoor rotis and naan. Now you don’t have to go outside to enjoy tandoori rotis and naan because the same quality tandoor roti and naan can be prepared in your own home kitchen. 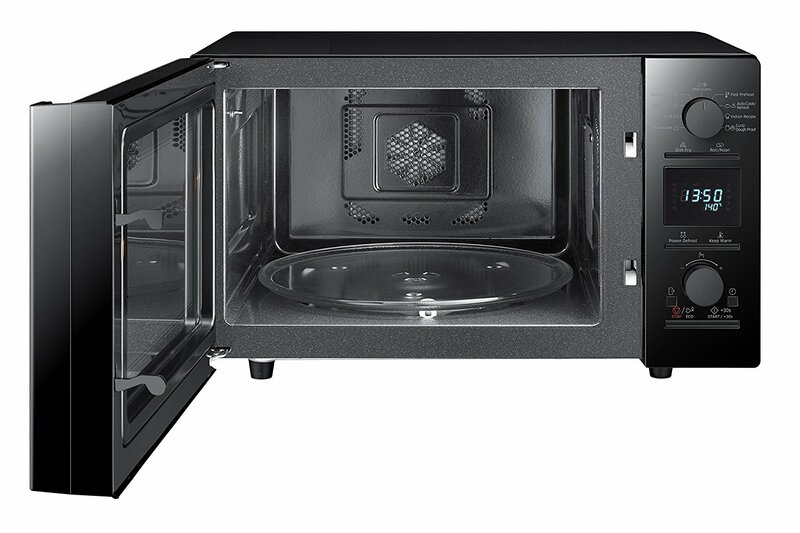 This 32-liter convection microwave oven can prepare dough as well as curd whenever you want as it uses fermentation function that is based on the latest fermentation technology. This fermentation option lets you manage power setting rightly and provides you additional options to prepare tasty meals at home. Samsung CE117PC-B2/XTL has various premade Indian recipes so that you can enjoy Indian recipes very easily with the touch of a button. 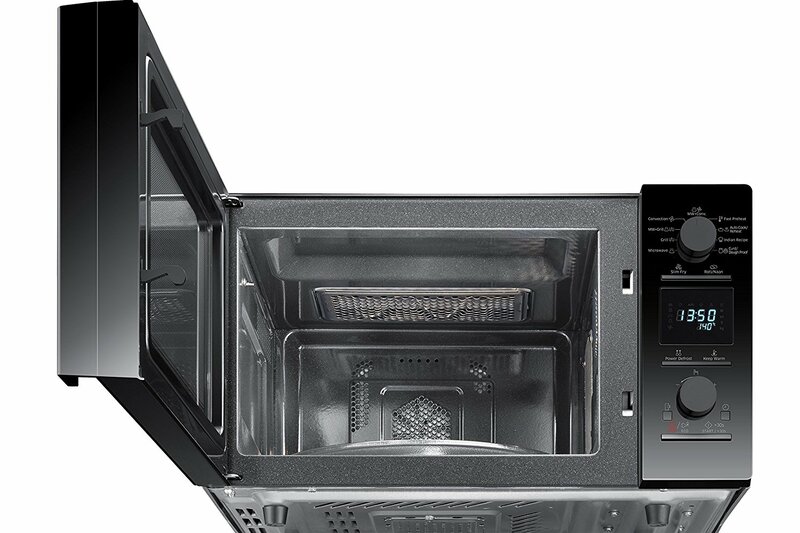 Now you don’t have to worry of the bad odors because it has deodorization function that removes inner air outside. 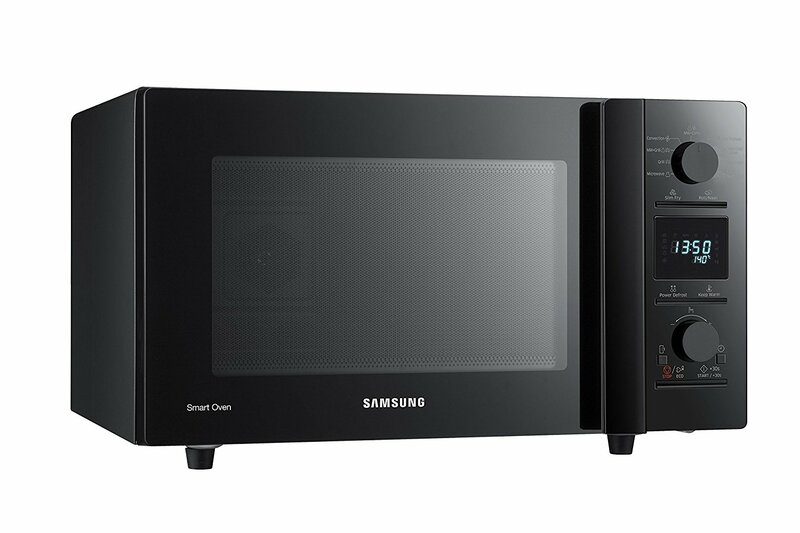 This deodorization capability in Samsung CE117PC-B2/XTL microwave oven is very helpful to get rids of bad smells to keep your foods free of such smells and the food will taste as delicious and fresh as you wanted. 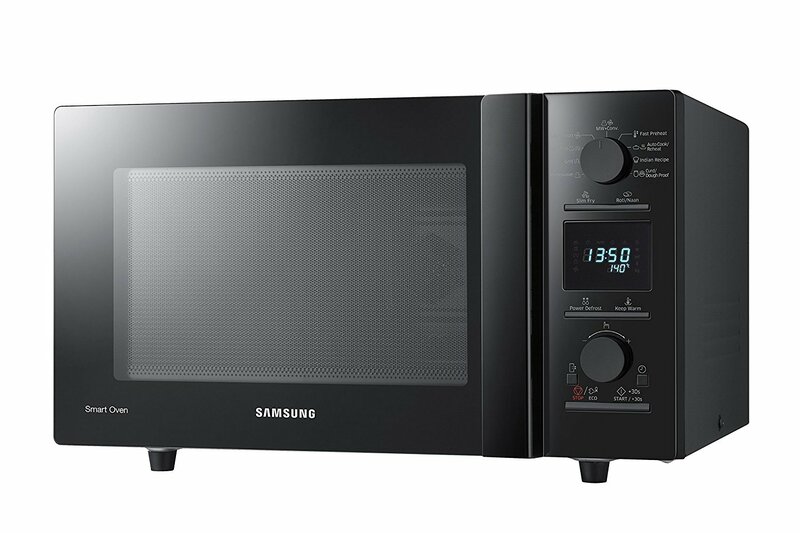 Further, this convection microwave oven from the Samsung brand a plane ceramic cavity that will not create any difficulties to clean it and it won’t have any issues related to scratches and discoloration. On the other hand, a scratch-proof cavity is proven to last longer than other normal cavities. 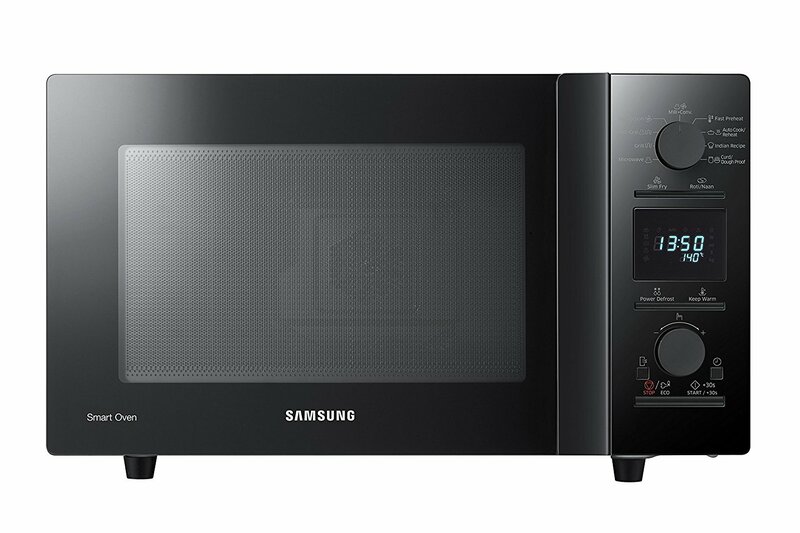 Also, Samsung CE117PC-B2/XTL comes with eco mode that uses very less standby power so that you can save some money.